Please read our consignmnet policy, or contact us if you have any questions. 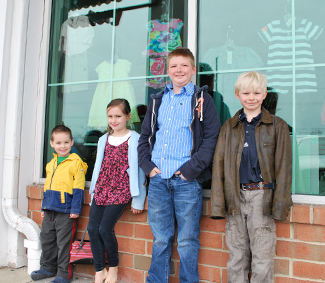 Hipsters is a consignment shop specializing in clothing and equipment for children 14 years and under. Please stop in often to see our amazing bargains on a large variety of both clothing and toys! For dropoffs of more than 20 items: Please call for an appointment, and due to space limitations, we can only accept one bin of clothing per appointment. You may drop off up to 20 items without an appointment between 10-2. Bring pre-season clothing - e.g., In Winter we take Spring clothing.